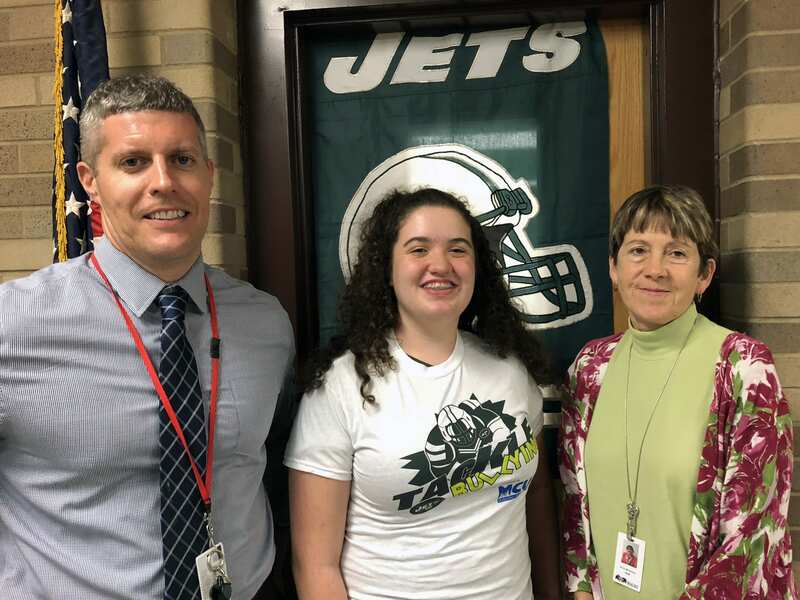 In addition to school-wide recognition over the public announcement system, Grace received a Jets Tackle Bullying t-shirt and three tickets and a parking pass for the October 21 Jets vs. Vikings game. Congratulations, Grace! For the second consecutive year, South Orangetown Middle School is participating in the New York Jets Upstander of the Week Program, a collaboration with STOMP Out Bullying, to highlight students across New York, New Jersey and Connecticut who create a positive school culture. Upstander candidates are nominated by their teachers for taking a stand against bullying, reaching out to students who may be socially isolated, and/or promoting a school culture that honors diversity. All grade levels at SOMS participate.